Bairavaa, Sep 4: As per the post of Actor Vijay’s official Facebook, the title and Firstlook of Thalapathy 60 will be revealed at the midnight of September 5, 2016. But, the title and Firstlook released early on September 4th, 2016. His Fans celebrating with the hashtags of #Vijay60 and #Bairavaa. Bharathan is the director of the film. He already worked with Vijay on “Azhagiya Tamizh Magan.” But the film didn’t create a massive Box Office. Vijay next film, till date, the fans are mentioning as Vijay60 and Thalapathy60. Hereafter it is Bairavaa/Bairava. 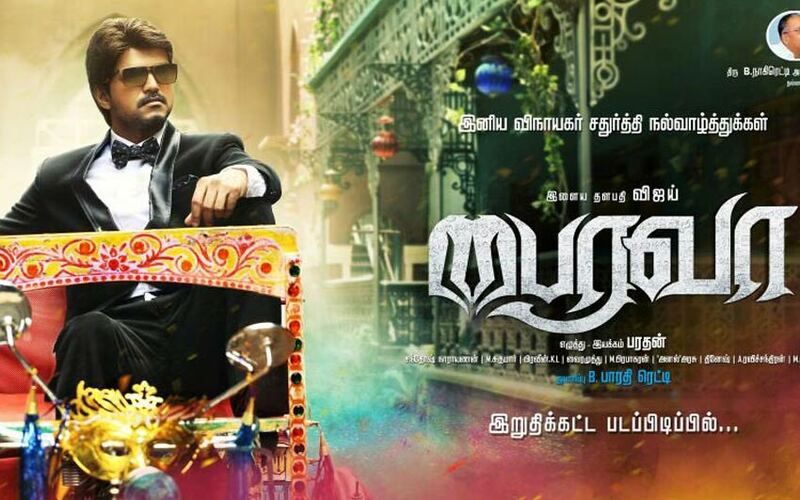 The movie has produced by the Blockbuster hit Ajith’s “Veeram” production company. Yes.., it is Vijaya Production. RK Suresh, Daniel Balaji, Sathish, Mimi Gopi, Harish Uthaman, Sharath Lohitashwa, Sreeman, YG Mahendra and others are playing supporting roles.